A DVD-quality copy of actioner The Expendables 3, starring Sylvester Stallone, has been downloaded via piracy sites more than 189,000 times over a 24-hour period — three weeks ahead of the U.S. premiere. The leak of the film on the Internet ahead of its theatrical debut, an unusually rare occurrence, could dampen box office for Expendables 3. It’s also worth noting that the target demo for the movie is young males, who are the biggest users of illegal file-sharing services. With 21 days left to go before the Aug. 15 premiere, the number of illegal downloads of Expendables 3 will certainly soar into the millions. Lionsgate, which is distributing the movie, did not immediately respond to a request for comment on the leak. The original source of the pirated copy is unclear; user comments posted on piracy websites indicate the rip is genuine. Pirated copies of Expendables 3 began cropping up on torrent-sharing sites Wednesday and downloads started to spike Thursday, according to data provided by piracy-analytics firm Excipio. As of 6 p.m. Eastern Thursday, the movie had been downloaded 189,052 times worldwide, with 42,216 of those in the U.S., according to Excipio. 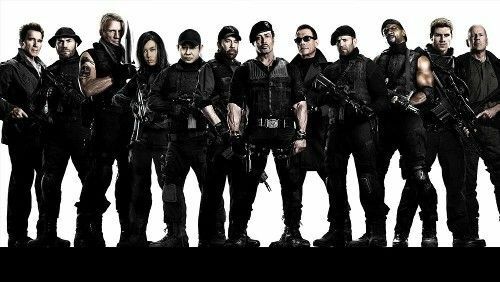 Expendables 3 ensemble cast includes Jason Statham, Antonio Banderas, Jet Li, Arnold Schwarzenegger, Dolph Lundgren, Kelsey Grammar, Terry Crews, Mel Gibson, Wesley Snipes and Harrison Ford. The first two Expendables movies, both starring Stallone, were released in mid-August in 2010 and 2012 by Lionsgate. The first installment grossed $275 million worldwide and the second took in more than $300 million. In 2011, Expendables producer Nu Image filed a copyright-infringement lawsuit targeting more than 23,000 individual BitTorrent users that it alleged illegally downloaded copies of the first movie. The last App/Album/Movie/Tv-Show/File you downloaded?